I feel that I have come a long way forward and have the skills to go further which I will continue to do. 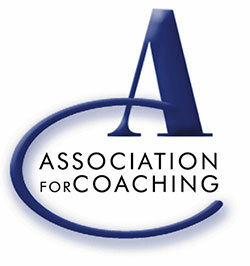 I would also recommend both the coaching sessions and you Anita as an excellent coach. The main insight I gained from coaching was around self-awareness and personal impact. The coaching enabled me to structure and, where appropriate, continuously monitor my interaction with others in work situations that previously I had felt ill at ease in. This meant that I could adjust my input to improve or maximize positive outcomes for myself and others. The biggest highlight of the coaching process was creating the time (for the first time in years!) to look more strategically at my career. The valuable insights I gained, as a result of coaching, included how to use different techniques to appreciate my strengths and weaknesses to help me stay focused on what’s important. I now have a better understanding of what is important to me and what my sources of stress are. This has made it much easier for me to self manage. I also have a better understanding about the power of self-reflection. As for the coaching experience I wouldn’t change a thing! It is has been a very positive experience. Anita is a highly experienced, skilled and professional Organisational Development consultant and practitioner. Over the 6 years that Anita and I worked together, I found her knowledge, insight and expertise invaluable. Anita is particularly skilled in helping and supporting managers work through organisational change; in developing and implementing programmes to support both organisational and cultural change; in providing thought leadership and facilitating discussions and in having those ‘difficult’ conversations with both managers and employees. I recommend Anita who is hard working and a dedicated and committed Organisational Development Consultant. Anita is fantastic at shaping staff engagement and she helped me structure, shape engagement and lead my people through a very challenging landscape of organisational change. Anita is charismatic, inspirational and empathetic but manages to do this whilst being firm and holding fast to the objective. I can’t recommend Anita enough, she always delivers and has never let me down! I initially approached Anita because I felt I wanted to be happier with the direction my career was taking. I couldn’t quite work out what to do next, but I did know that I needed things to change. I knew that I wanted to feel more in control of it, and I did know that something about things wasn’t getting me to a greater sense of satisfaction; a greater place. Anita’s approach at the beginning was quite challenging. Whilst exploring my situation at the beginning Anita had to touch on, and listen to me explore some painful areas, that were, I began to understand, keeping me from moving. Anita has a knack of listening to me, when I wasn’t, then challenging and helping me to practice reflection on my own needs, my artistic endeavours, and on my own emotions. Over the series of sessions, Anita would surprise me by changing approach when she felt it was necessary, to keep me on my toes, and to use various methods that helped me view things differently, and develop my own sense of awareness. I remember specifically a day when Anita reflected my attitude for my work to be seen as good – the comparisons I was making between what I did, and what others did. I was truly my harshest critic. I remember her words – Might I make mistakes? Might I not be superman? Might I need to pay attention to what was happening? This was painful to hear at first because of expectations; both mine and those I perceived. Anita used her unique and rich mix of experience within the artistic and business fields to couple two aspects of my life that I felt uncomfortable with. My confidence as an artist was low, and also my confidence in dealing and communicating with others within the artistic world. If I was to build my artistic career, I would need to develop, and Anita helped guide me on those first steps. Challenging my behaviours also helped lead me to form new patterns, and literally to imagine in a self-affirming way what was possible! Not perfectly, that became key, and Anita helped guide me to what was self-limiting for me. I imagine Anita as a very positive influence on my life. What works for me is specific, and I am now more confident in that belief because of Anita’s methods and approach. I always felt that Anita kept what works for me as her guide – because I often didn’t. Towards the beginning of my next journey after these sessions, I was able to be as confident of my assessment of other’s work, as much as my own. I was also able to begin to challenge Anita in her assessments of my art and others. I was more confident of my work too. The ability to talk in front of them with no concern about who might overhear was amazing! This was a huge step for me, and helps me now when I paint ‘en plein air’, as Anita would say.